Story: In "Spider-Man 3," based on the legendary Marvel Comics series, Peter Parker has finally managed to strike a balance between his devotion to M.J. and his duties as a superhero. But there is a storm brewing on the horizon. 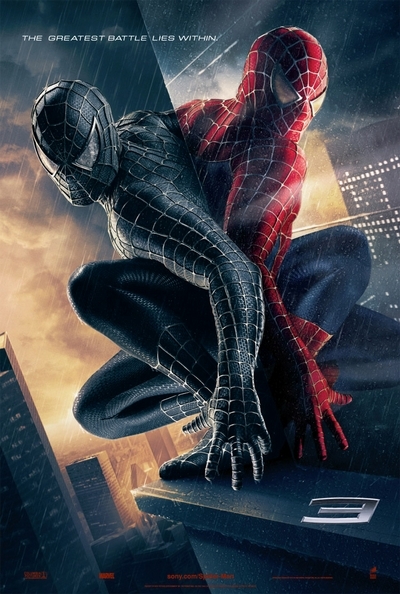 As Spider-Man basks in the public's adulation for his accomplishments and he is pursued by Gwen Stacy (Bryce Dallas Howard), who rivals M.J. for his affections, Peter becomes overconfident and starts to neglect the people who care about him most. His newfound self-assuredness is jeopardized when he faces the battle of his life against two of the most feared villains ever (Thomas Haden Church, Topher Grace), whose unparalleled power and thirst for retribution threaten Peter and everyone he loves.